Quality Management Plans are available for Commercial/Industrial, USACE-NAVFAC, FTA-DOT, FHWA, Caltrans, FAA, DOE, and other government agencies' — as well as ISO 9001 standards. The information package also includes inspection and testing, applicable code, and personnel qualifications information. Trade-specific information is available for 16 of the more common MasterSpec Divisions. See By CSI Divisions for more information. Download sample pages — and see what you'll get in each section of your general contractor quality management plan. Or, contact us at 410-451-8006 and answer all of your questions. You'll be in good company. 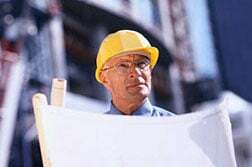 We specialize in plans for small to medium sized general contracting companies, but as you can see, all sizes of GC companies trust us for their QA/QC solutions.